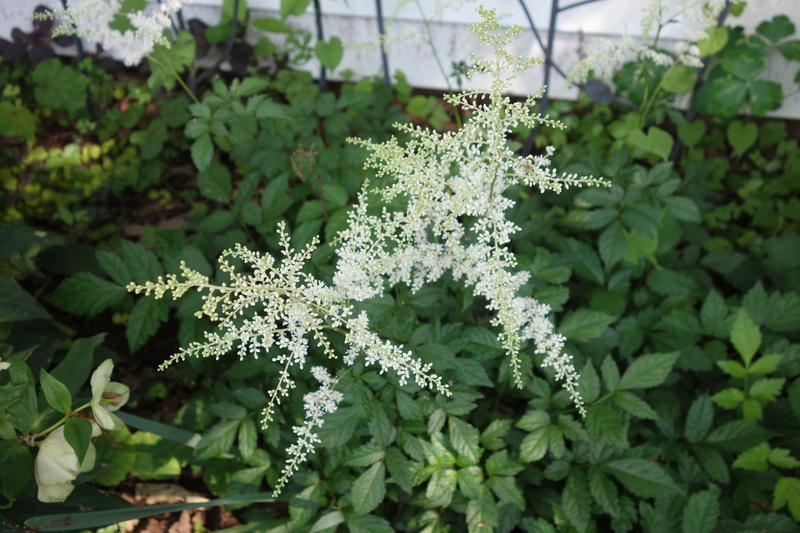 I have astilbe ‘Deutschland’ in the front garden and in the erstwhile white garden. 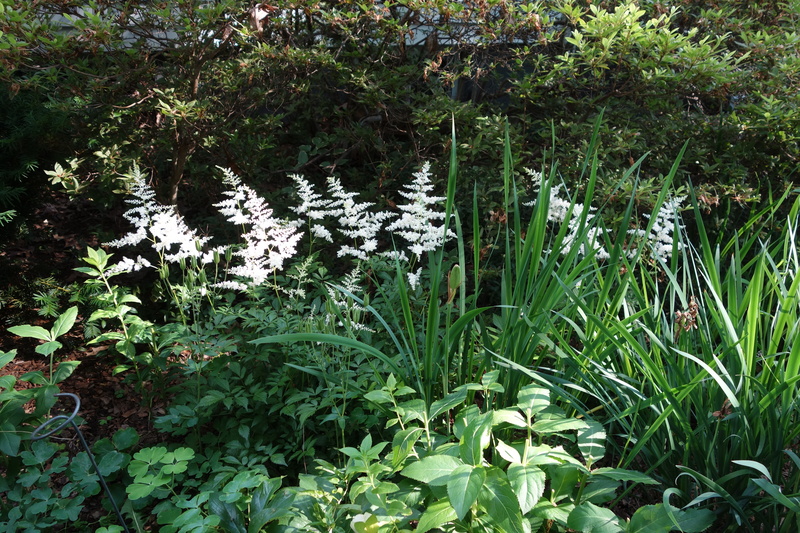 My mother grew astilbes, they are the backbone of the garden, a classic perennial, and so on. Not in Virginia! The summer droughts tend to parch it so much that it barely hangs on. I’ve dismissed it but never gotten rid of it either. 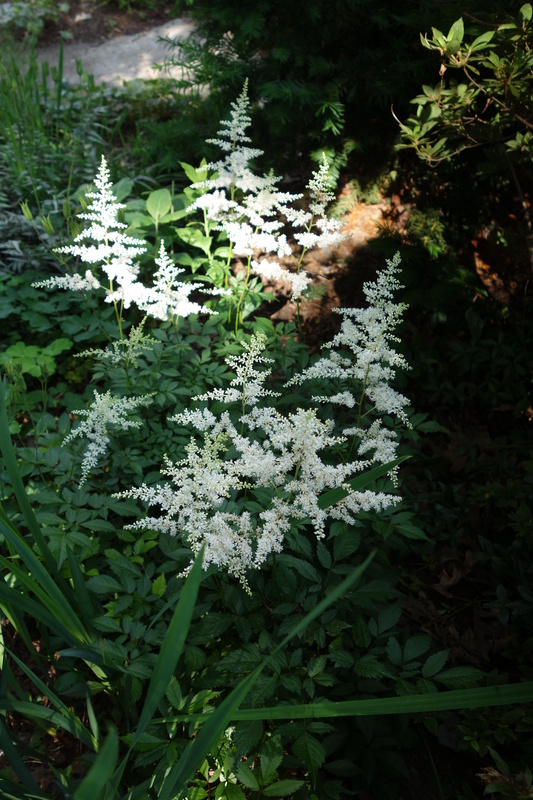 This year, it’s perfect: airy white wands wave in the breeze, lighting up the dark green corners of the garden. I’m sure Henry Mitchell had something pointed to say about it. Adrian Higgins just says to give it a pass in Virginia. But here are two more reasons to grow it.